Aluminium frame tennis racket for power and durability. Size 21-Inch best suited for children aged 4-6. This racket is supplied strung and ready to go. 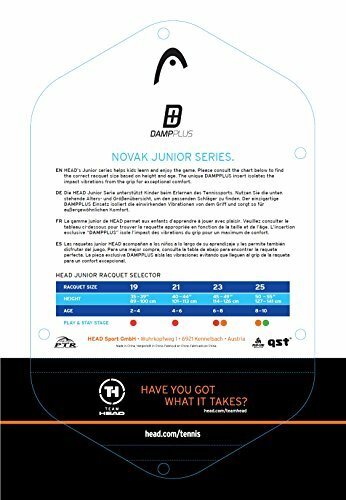 The Novak Junior Tennis Racket, named after Novak Djokovic, is the perfect racquet for those who want to get a very first feel for the sport. It comes with the unique Damp+ insert, which isolates the impact for less vibration. 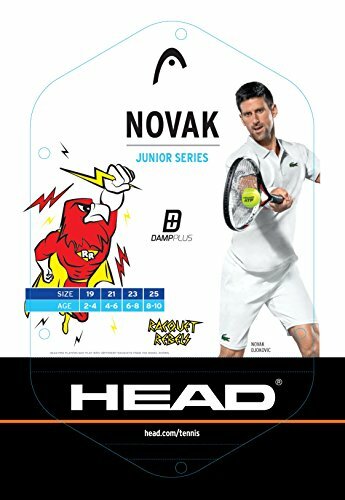 With its colorful and fresh design, the racquet is ideal for that very first training session in school or a spontaneous game on the streets. Head cover included.